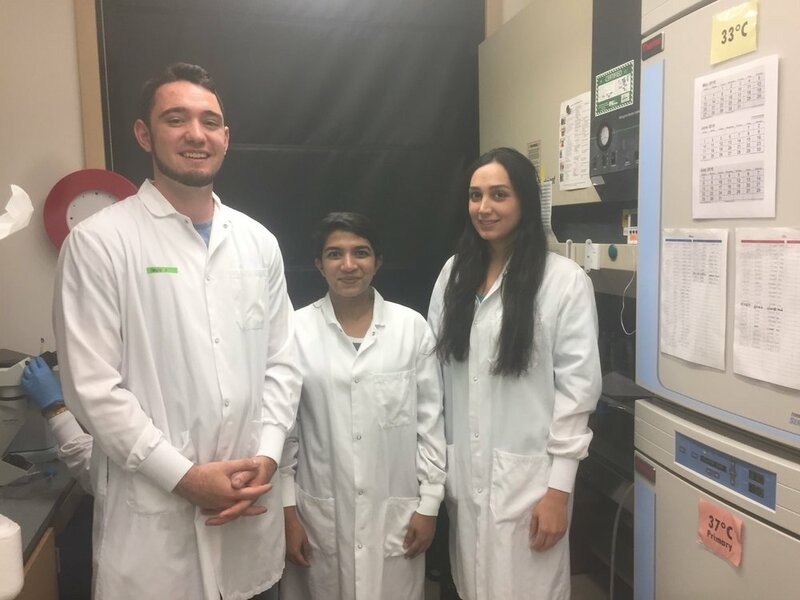 April 2019: Congratulations to Jake Aaronson and Rachana Vaidya for their tag-team 1st place win for best presentation in the grad division at the Sigma Xi research symposium! They presented their work on osteocyte behavior in hyperglycemic conditions. June 2018: Our lab headed up to the Center for Skeletal Research core in Boston to get trained on how to grow and take care of Ocy454 osteocytes. Thanks to Dr. Paola Divieti Pajevic for her training sessions! May 2018: Kudos to Zach Herrera for receiving the summer internship award from the Office of Undergraduate Research! 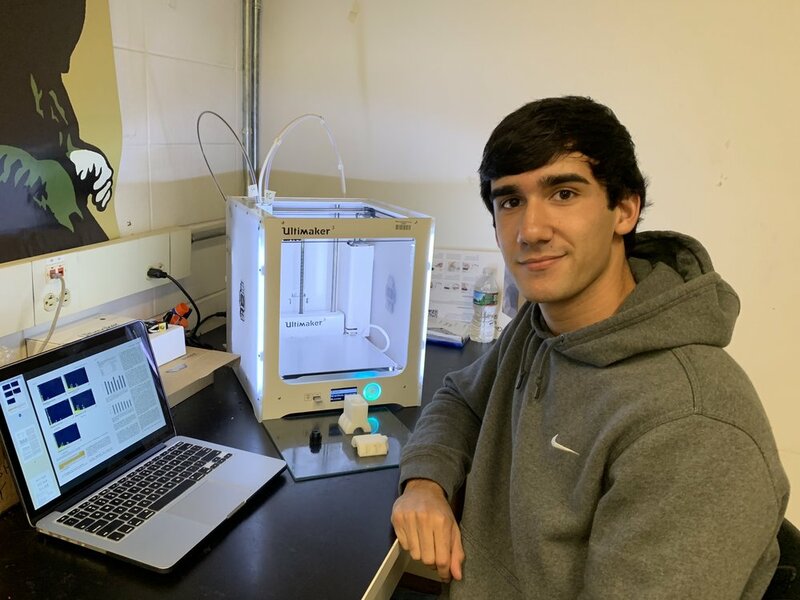 He is working on 3D printing polylactic acid and titanium dioxide composites that could be used as part of biomedical implants. April 2018: Jake Aaronson won the grand prize in the undergraduate division of the 3-Minute Thesis competition at UMassD - congrats! Listen to his 3MT talk here. November 2017: Jake Aaronson had an abstract accepted for the Orthopaedic Research Society meeting on the effects of an in vitro diabetic environment on bone microindentation properties. Have fun in New Orleans in March! July 2017: Congratulations to Talia D'Ambruoso and the rest of the "Bone Notcher" senior capstone team for their abstract acceptance at BMES. We’re proud to have UMassD represented at the meeting! May 2017: Kudos to Jake Aaronson for receiving the summer internship award from the Office of Undergraduate Research. Learn more about his summer project here.